Interference Pattern’s vfx team recently completed work on this captivating commercial for Digby Brown solicitors. Watch this short vfx build-up sequence to get an insight into the work that goes into producing a project such as this. 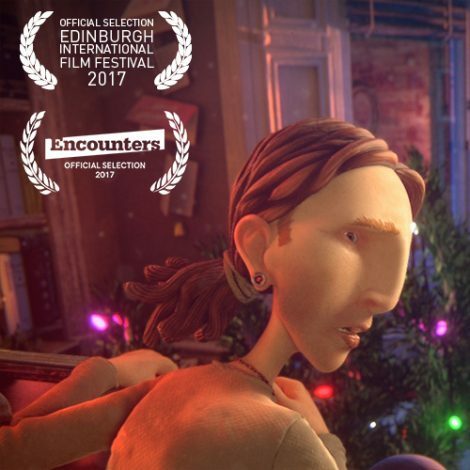 From on-set visual effects supervision right through to creation and integration of the virtual cgi environments and seamless digital set extensions, we made sure that this spot delivers for the client and audience. STV Creative approached us with an exciting project for one of their regular clients, Digby Brown. 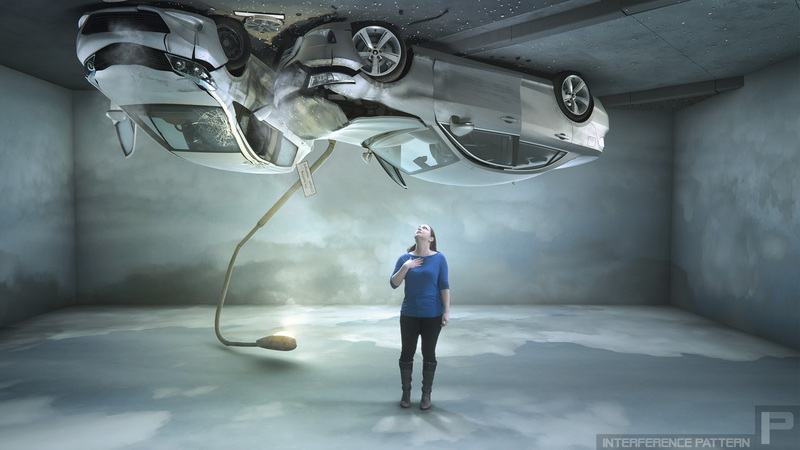 The brief was to create two photorealistic cgi environments, one depicting a car crash and the other an accident in the workplace. 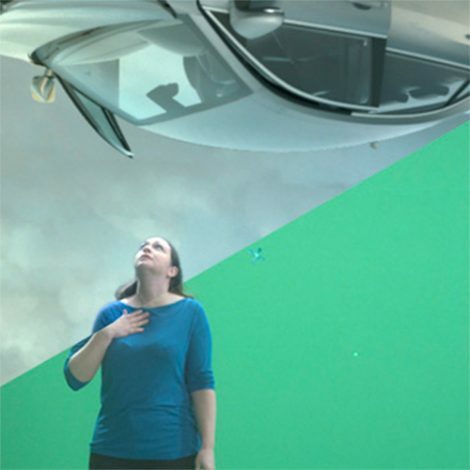 The twist was that these scenes were to be inverted in space, with the “ceiling” of the virtual set aligning with the floor of the live action shoot. The look was designed to fit alongside the existing de-saturated design of previous Digby Brown commercials. After our initial conversation with the creatives and director at the agency to discuss their ideas, our first step was to quickly assemble a set of simple mock-ups that would demonstrate our initial ideas and approach for the project to the creative team at the agency. Next came the live shoot recce and then filming day. First on our list was to make sure that the greenscreen setup was all looking as it should be and there were no surprises in store that could adversely affect our keying and tracking. Arriving on set early we could see that there were a couple of small issues with the greenscreen setup. Once the still-blowing ventilation fan behind one of the greenscreen sheets had been turned off and some unsightly wrinkles smoothed out, there nothing left that a little extra manual love and attention from the vfx artists during post couldn’t fix. Next we set up out tracking markers around the set, not too many but not too few, to enable us to accurately recreate the camera motion used and apply that to our virtual cameras within our 3d environment. It was now time to bring out the measuring tape and take accurate measurements of the entire space. These measurements were vital and were to allow us to accurately reconstruct an approximation of the set once back at the studio. Once the on-set lighting was rigged up and signed off we got busy with the DSLR, taking our bracketed lighting reference capture shots. As we were replacing the entire environment these were to be used for our reference as to the lighting conditions that the actor was under, so that we could approximately estimate the location of the lights on set, once we were back in the studio but also recreate the approximate lighting conditions if required. Back at the studio we started work on the keying, rotoscope and camera tracking the shot. A combination of automatic keying and manual frame-by-frame rotoscope work gave us a good clean mask, enabling us to isolate the actors from the greenscreen and layer them on top of our cgi environments. We also extracted the cast shadows from the greenscreen shot, which were re-used to anchor the actor to the cgi back plate. It was decided that the location of the camera on set didn’t allow enough room in-frame to place both the cars and street scene high enough such that they didn’t obstruct the actor. 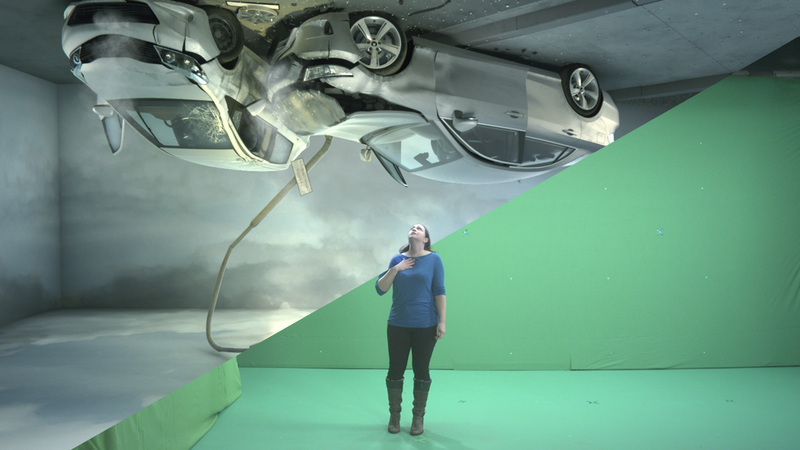 The solution was to add in an extra camera move in 3d to give more space above the actor. Layout and initial lighting and surfacing. Once we had a good solve for the camera track we were able to start layout of our 3d scene and work on the initial lighting and surfacing of the cars and their environment. Initially working with grey, mid-tone shaders allowed us to see the lighting on it’s own,without being distracted by more complex surfacing at this stage. Once we were happy with the lighting we progressed to assigning realistic surface textures and properties to the cgi objects. In addition to creating the with the virtual car crash and warehouse sets we would have to create a seamless set extension for the “office” which appears in the second half of the commercial to extend the walls higher than the constructed set and also hide a large lamp that was suspended in the middle of the room. We also cleaned up some marks, imperfections and constructional seams on the walls, to give the Digby Brown office set a feeling of smooth-walled perfection. We continued to iterate and refine the lighting, layout and overall grade until we arrived at the final approved result. 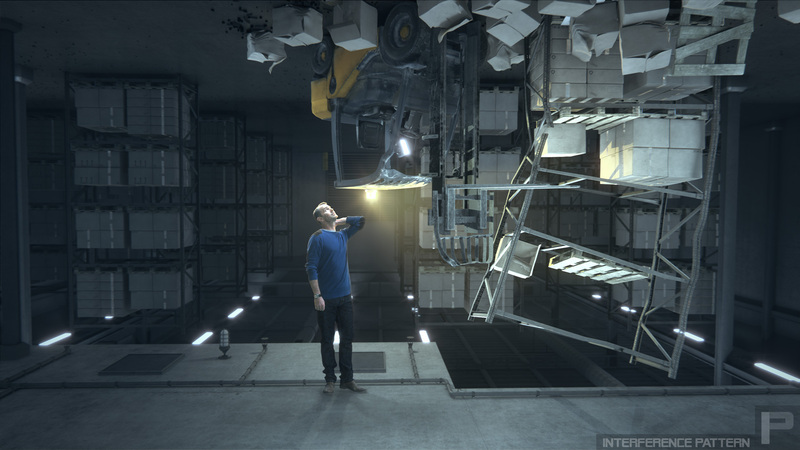 Linking together the seamless set extension work with the photorealistic virtual environment, to produce two separate seamless 30 second shots. Check out a couple of the final frames from the commercials.